Say the password and come on in. It’s Prohibition era in America, but the drinks are still flowing and the jazz is swinging. And tonight, there’s been a murder. Be prepared to mingle with some of the most notorious gangsters, flappers and booze-hounds in town at renowned speakeasy, The Lodge. 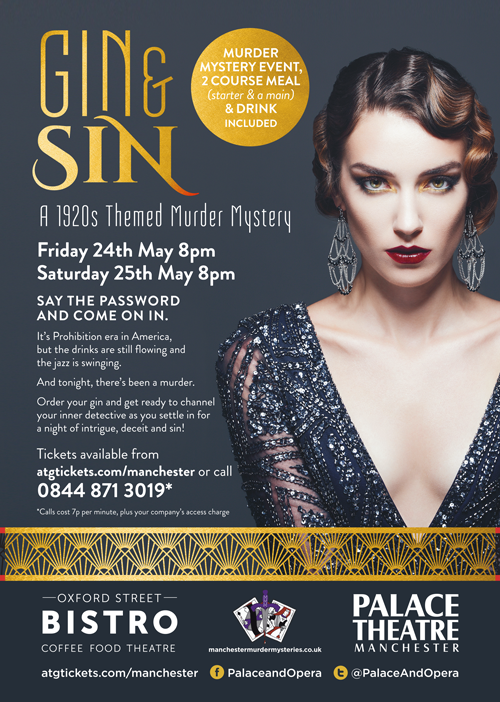 Order your gin and get ready to channel your inner detective as you settle in for a night of intrigue, deceit and sin! Work with your fellow suspects and witnesses to solve this grisly crime. Take the glory at the end of the night when you proudly proclaim ‘Whodunnit’. The great thing about our murder mysteries is that YOU are the star of the show! 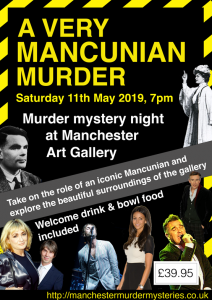 Each guest will have a small role to play in this fabulous tale, whilst you work in teams to gather information, decipher the clues and uncover the criminal! Tickets are £49.95 each which includes a delicious 2 course dinner and welcome drink provided by the Oxford Street Bistro.